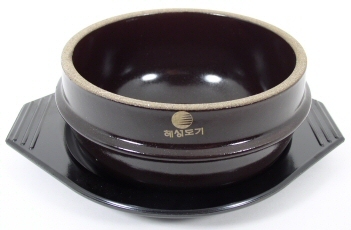 It was exactly a week ago that I was lamenting my inability to find the stoneware bowls to make Dol Sot Bibimbab (aka Bibim bap, to some spellers). Well, I lamented too soon! Last weekend I had the chance to visit the only Korean grocery store within miles of here, and I was amazed to find, stacked on a low shelf with the noodles–nowhere near the other dishware or cooking utensils–the bowls I’d been looking for, along with the heavy plastic trays that go under them to keep them from burning the table. These will also be great for serving anything that I want to keep warm, such as stews. 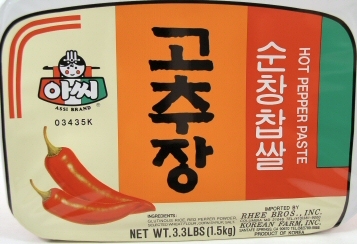 I’m going to experiment with other recipes soon, but first I’ll be making up a batch of Bibimbab. I’ll cook the rice in the rice cooker as always, put it into the bowls and then heat them in the oven before adding the toppings and serving. That’s my plan, but I don’t have precise instructions. If someone knows more, please let me know. That was a surprise find. 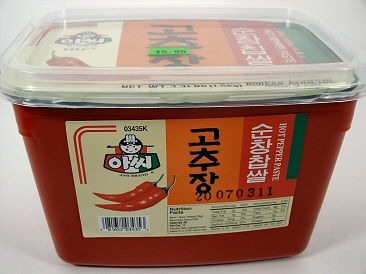 What I went expecting to find, and did, was the Kochu Chang (Hot Pepper Paste) that I had to improvise last time. That’s a shot of the top of the package I bought. There were about four different brands in the store I visited, and since all had basically the same ingredients–glutinous rice, red pepper powder, wheat flour, corn syrup, salt–I picked the least expensive one in the largest container. I’m cheap, and I don’t know when I’ll be getting back to shop there again. Bibimbab is the Recipe of the Week at my site, Fatfree Vegan Recipes. So find a Korean grocery store, buy some kochu chang, cook some rice, and throw some veggies (seasoned with sesame oil) on top. You’ve just made your first bowl of Bibimbap. Enjoy! And, in case you’re wondering, I don’t have any recipes or food photos for you today. Last night, we ordered sushi, and I haven’t yet felt the compulsion to photograph food I didn’t cook. If I keep food blogging long enough, I’m sure that will come! 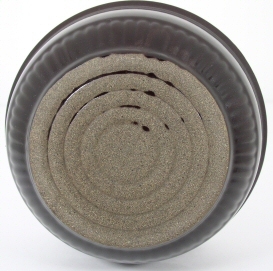 Since returning from Korea, I have been trying to buy a set of these bowls. Is it possible to order them? Best grocery store location tell in the blog post …thanks for such sharing with us ..